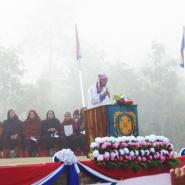 This Situation Update describes events occurring in Kyainseikgyi and Win Yay townships, Dooplaya District during the period between November 2017 and February 2018, including information about Tatmadaw activity, the celebration of Karen National Day, education, health, development, and livelihood and drug issues. On February 3rd 2018, Tatmadaw Operation Commander Major Htun Htun San came to the Win Yay Township office with ten soldiers to forbid the KNU from erecting a statue of Saw Ba U Gyi on Karen National Day. 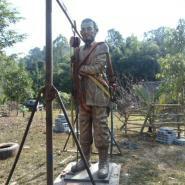 Therefore, the statue was transferred by the KNU to Meh Ka Tha village, Kyonedoe Township during the night. 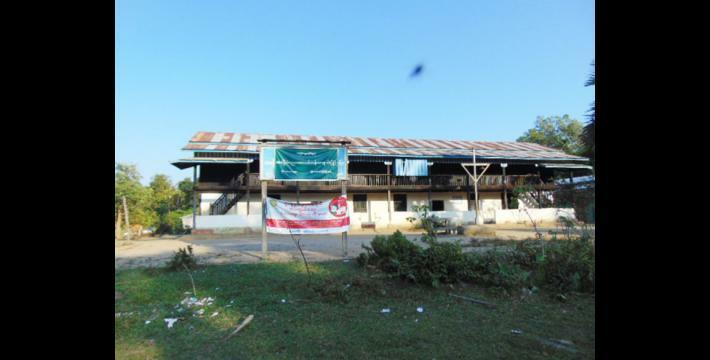 A self-funded school was built in 2018 in Tay Loh Nee village, Yaw Ka Daw village tract for children who had difficulty travelling to school in distant areas because of damaged roads during the rainy season. However, the decrease in teacher’s salaries has made it difficult to find teachers in Yaw Ka Daw village tract, Kyainseikgyi Township. The most prevalent illnesses in T’Poh Kaw village, T’Aye Shay village tract, Kyainseikgyi Township were colds, fever and flu [H5N1] which is more common in children. There are many villagers in T’Poh Kaw village who continue to seek treatment in the village’s clinic when they are seriously ill because the village is far from the hospital in town. The road construction between Paya Thon Hsu and Thanphyu Zayat towns that began in 2014 damaged 81 acres of local people’s lands in Kyainseikgyi Township but the Burma/Myanmar government did not take any responsibility or provide compensation for local people whose lands were confiscated. 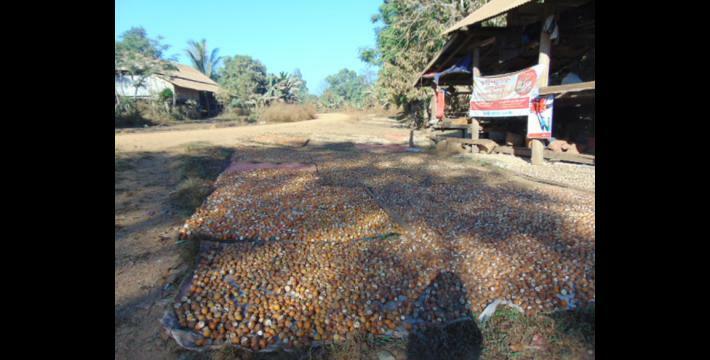 In 2018, the fluctuating price of commodities such as betel nuts, sesame seeds and rubber and the restriction of lands by KNU Forestry Department threatened the livelihoods of local people in some areas of Kyainseikgyi and Win Yay townships. The following Situation Update was received by KHRG in February 2018. It was written by a community member in Dooplaya District who has been trained by KHRG to monitor human rights conditions. It is presented below translated exactly as originally written, save for minor edits for clarity and security. This report was received along with other information from Dooplaya District, including one other incident reports, seven interviews, 112 photographs and 2 video clips. This situation update covers events in Win Yay and Kyainseikgyi townships, Dooplaya District that occurred between November 2017 and February 2018. 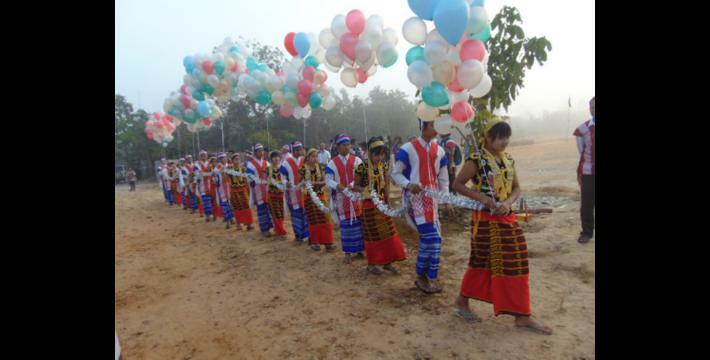 The information is about Tatmadaw activity, the celebration of Karen National Day, as well as education, health, development, livelihoods and drug issues. 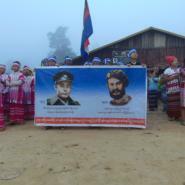 In Win Yay Township, Tatmadaw activities decreased in 2017 but increased again at the start of 2018. On November 19th 2017, Tatmadaw Infantry Battalion (IB) #275 exchanged their camp with IB #31 in Win Yay and Kyainseikgyi townships. 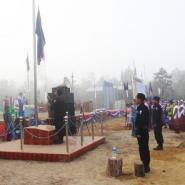 Tatmadaw IB #275 was led by Battalion Commander Aung Naing Win and IB #31 was led by Battalion Commander Htet Aung Ko. The IB #275 Battalion Commander marched to Lay Chaw Gay village, Yaw K’Daw village tract with 40 soldiers to meet with Tatmadaw IB #31. On December 21st 2017, Tatmadaw Operation Commander Major Min Ko went to Lay Chaw Gay camp [Tatmadaw] to examine its infrastructure and then returned on 22nd December 2017. 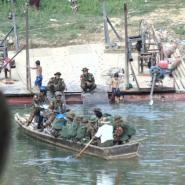 On these days, Tatmadaw soldiers were active along the route to keep a careful watch on security. 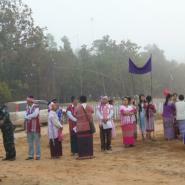 Furthermore, on February 28th 2018, Tatmadaw IB #32, which was led by Major Lay Naing, marched to the Mon-Karen mixed control area in Win Yay Township with 20 soldiers to protect against conflict from Mon military activity during the Mon ethnic and Burma/Myanmar government NCA (National Ceasefire Agreement) proceedings. 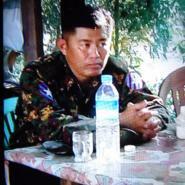 Furthermore, on October 30th 2017, Captain Hein Ya Za Phyo of Tatmadaw IB #284 threatened and punished the village head and his wife in Zi Pin village, Lwut Shan village tract, Win Yin Township. Captain Hein Ya Za Phyo accused the village head’s wife of showing poor hospitality when she did not invite him to enter the house and to drink water. 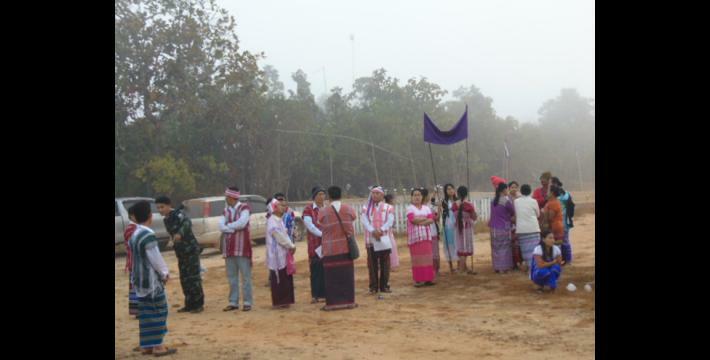 Tensions rose between the Tatmadaw and Karen National Union (KNU) because the Burma/Myanmar government and Tatmadaw did not allow the KNU to set up a statue of Saw Ba U Gyi on Karen National Day, which is celebrated on February 11th 2018 in Win Yay Township. 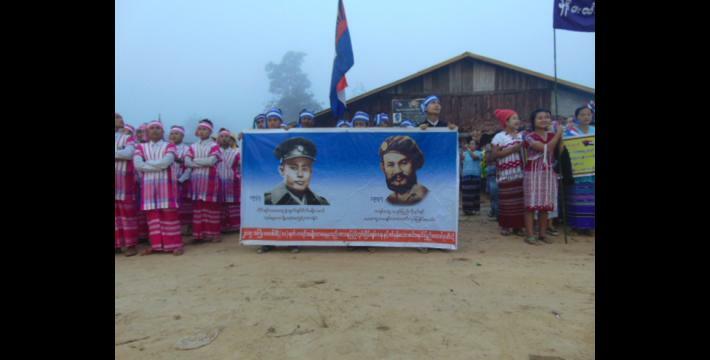 On February 3rd 2018, Tatmadaw Operation Commander Major Htun Htun San from Operation Command #2, under Southeast Command headquarter in Noh Cho Neh area, went to the Win Yay Township office with ten soldiers to discuss the establishment of a statue of Saw Ba U Gyi on Karen National Day. 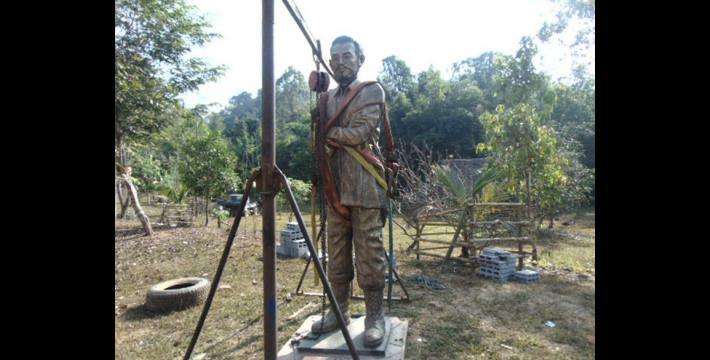 Then, he ordered Township leaders to transfer Saw Ba U Gyi’s statue to Meh Ka Tha village, Kyonedoe Township at night time. 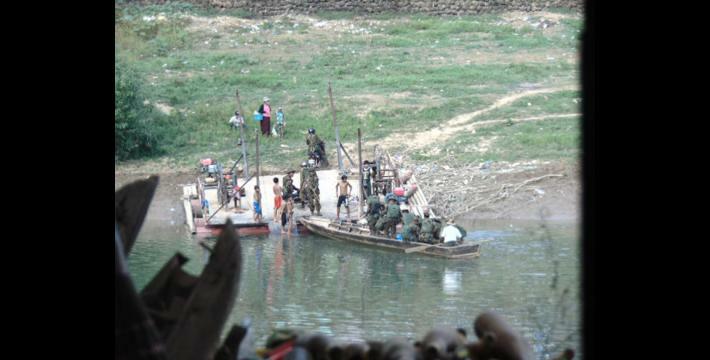 Regarding this case, local people were unhappy because they perceived that Karen people are not recognized as an ethnic group [by the Burma/Myanmar government] and do not yet have freedom even though they signed the NCA. Moreover, local people worried about the Karen National Day event, which would be celebrated on February 11th 2018, as they doubted that the ceasefire [between KNU and Burma/Myanmar government] would be upheld and they observed an increase in Tatmadaw activities. Notably, on February 10th 2018, five trucks from Tatmadaw IB #32 travelled to Lay Naung IB #284’s location. After seeing this, local people thought that the situation might lead to conflict and that this could affect the Karen National Day event because people would be too scared to attend. 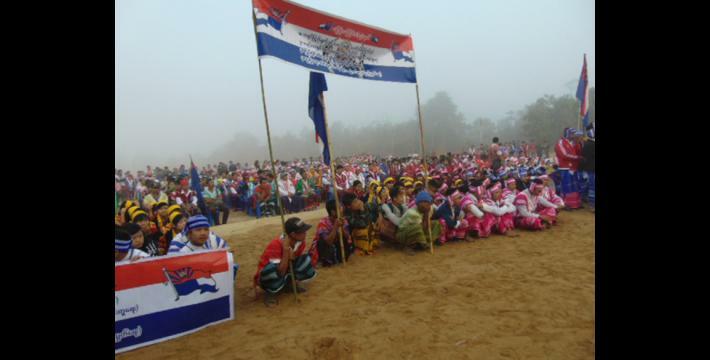 Indeed, approximately 300 people attended the Karen National Day event this year on February 11th 2018, including the Don Dance group, nearby villagers and KNU/KNLA leaders and members. 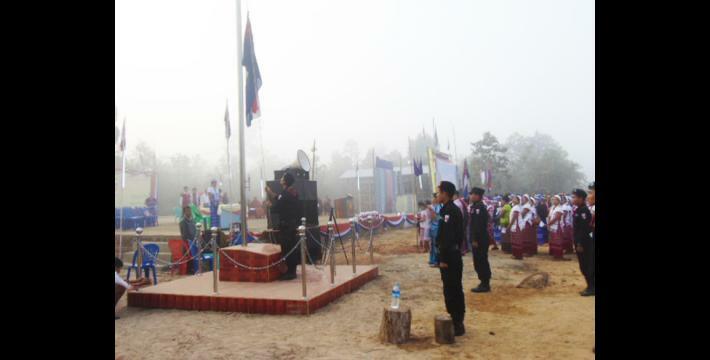 In comparison, there were more than a thousand people who attended the Karen National Day event in 2015. On December 24th 2018, [the researcher found that] there were some educational improvements in the Kyainseikgyi and Win Yay townships area as more schools were built. However, there are still some challenges in rural villages, especially in Tay Loh Nee village, Yaw K’Daw village tract, Kyainseikgyi Township. 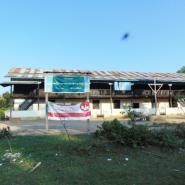 A self-funded school was built in Lay Wah Chu section, Tay Loh Nee village as there are four distant sections, 14 official households and about 100 people in the village. The school Standards are from kindergarten to Standard Three. 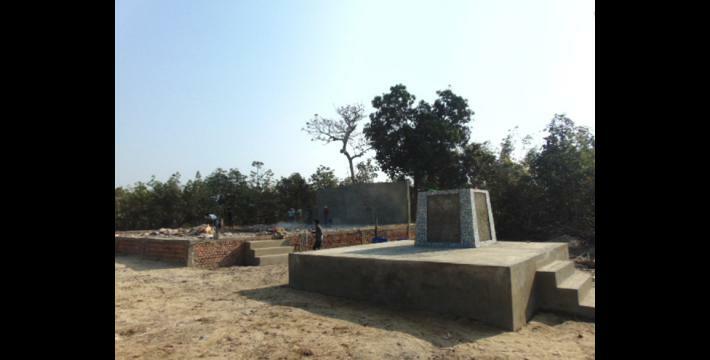 A school committee member named Saw Byot Paing stated that the self-funded school was built even though there are only a few households because this section is far from other sections in the village and so it is not easy for children to travel to school during the rainy season. A barrier to education for villagers in Yaw K’daw village tract, Kyainseikgyi Township area is that it is difficult to find teachers. Regarding education services, some teachers expressed that the KNU supported a teacher [of KNU or self-funded] by giving him/her 7000 baht [$222.13 US] per year in the past but in 2017-2018, they provided only 4,500 baht [$142.80 US] per year. 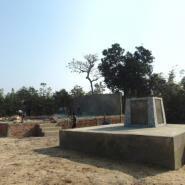 In addition, some rural villages are still facing challenges in education development and school infrastructures. 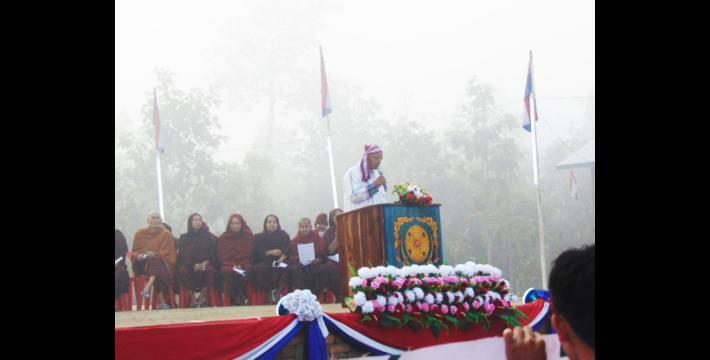 Some villagers and the KNU Education Department expressed that they did not dare to accept support from the Burma/Myanmar government because they are worried that the KNU schools would be terminated. In 2018, some children in rural villages could not attend school when they could not provide rice for teachers [this is a practice of rural villagers to provide rice for teachers when they cannot give money]. School principal Monk U Nada Sapa affirmed that there are 30 children out of school in Theh Phyu Chaung village because of their parents’ inability to support them. In 2018, the health situation improved in Win Yay Township, Dooplaya District compared to 2016 and 2017. On February 1st 2018, the village head from T’Poh Kaw village, T’Aye Shay village tract, Kyainseikgyi Township explained that the most prevalent illnesses are colds, fever and flu [H5N1] which is more common in children. There are many villagers in T’Poh Kaw village who continue to seek medical treatment in the village’s healthcare clinic when they are very sick because the village is so far from the hospital in town. However, illnesses have decreased compared to the past; particularly malaria. 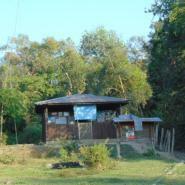 There is no adequate healthcare treatment in the village as it is not clear whether the village is under the jurisdiction of the Burma/Myanmar government or the KNU. 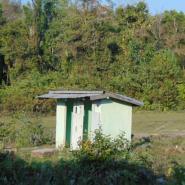 As a result, the village does not get support from either government. On December 24th 2017, villagers reported to KHRG that there have been some development projects implemented in the local area and that roads have been constructed since 2014. However, there has been no accountability for the consequences of these projects. Particularly, the Asia Highway between Paya Thon Hsu and Thanphyu Zayat towns that has been in construction since 2014 has damaged many peoples’ land. 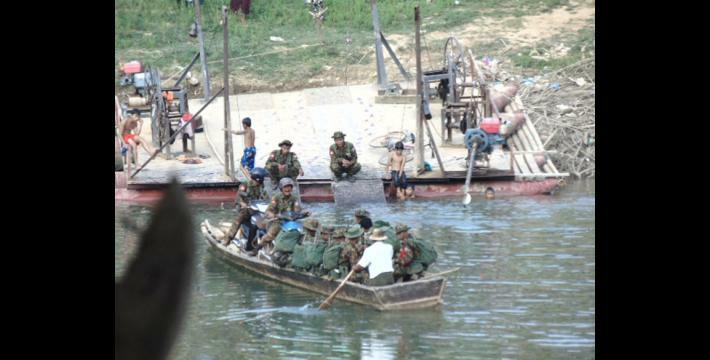 The Burma/Myanmar government has not provided any compensation for damages yet. Villagers are facing challenges due to the road construction because the dust from the construction site blows into roadside houses. 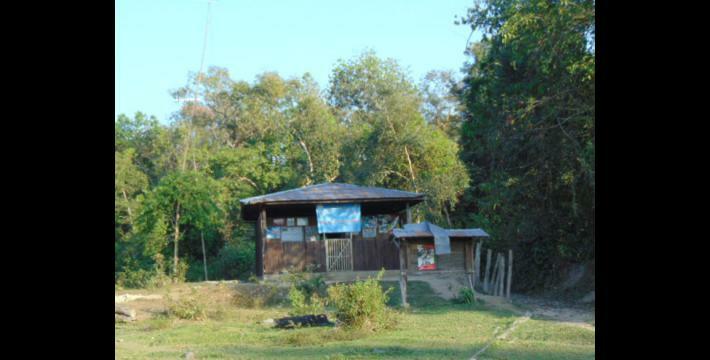 Villagers in Kyainseikgyi reported that the Burma/Myanmar government did not give any response [after villagers reported the issue to the government] regarding the 81 acres of lands that were confiscated. The Burma/Myanmar government is mining and producing stone from mountains to pave roads. The Tatmadaw confiscated lands and built [military] camps. Road construction related to development projects damaged plantations, farms and houses. In the midst of all these development projects, several organisations are promoting skills for local peoples. Therefore, there is not enough time and lands for local people to work for their own income. 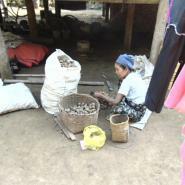 charcoal and cut bamboo and trees to make money for their income. Most of the local people in Win Yay Township secure their livelihoods by hill farming and working on their betel nut or rubber plantations. Some local people even want to sell drugs openly for their income if they were permitted by authorities. 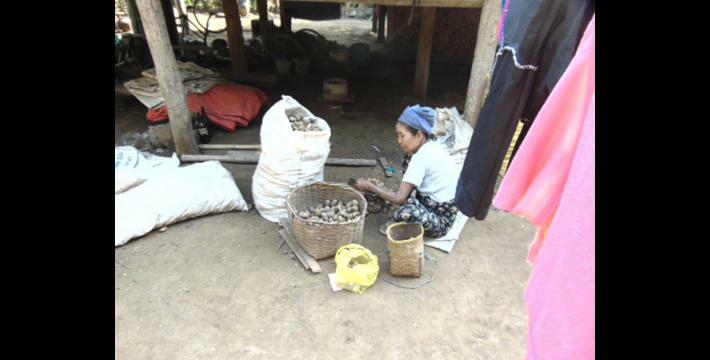 Villagers are now facing livelihoods challenges because there are limited lands to work on since the KNU forestry restricted land areas for conservation purposes. Particularly in Lay Hpoh village, there is no land for villagers to do hill farming [as these lands were restricted by KNU forestry]. According to village heads and villagers, villagers submitted [complaint] letters to the Win Yay Township Office regarding the barriers to their livelihoods but they did not receive a response. 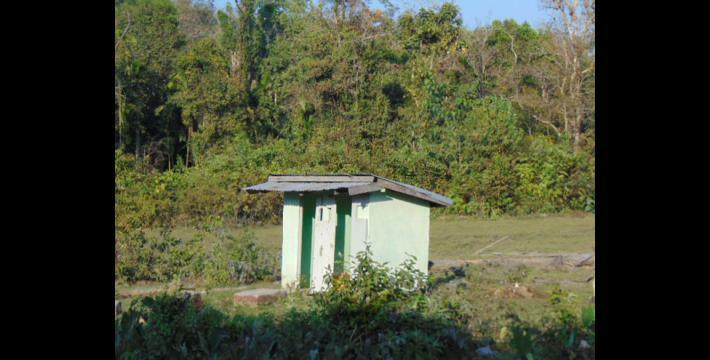 “Some villagers in other villages are hill farming in the restricted area but our village is the only one prohibited.” In this case, villagers could not participate in social activities and are struggling for their livelihoods. 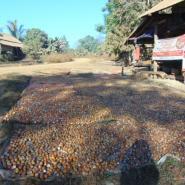 Most of the villagers tried to find an easy way to secure their livelihoods. Some used to sell drugs and grow kratom plants for their income. 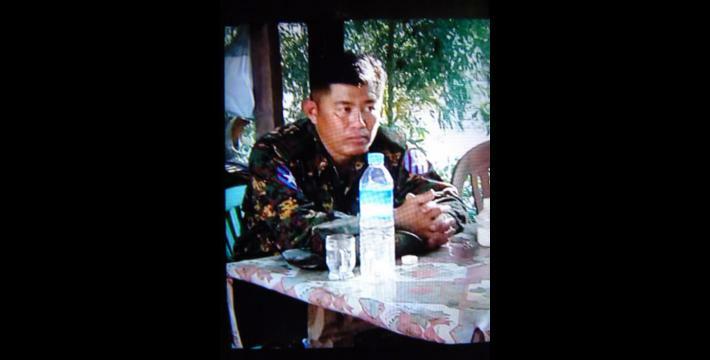 The 2nd Lieutenant Hpo Chit Thu from Karen National Liberation Army [KNLA] Battalion office planted kratom on the mountain in Lay Hpoh village. 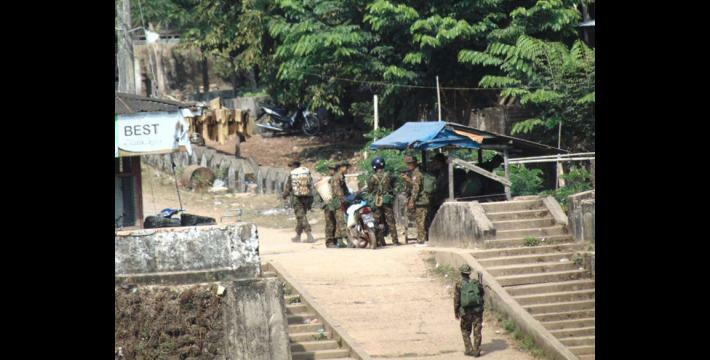 After the KNLA Battalion office knew this, they cleared and confiscated the land. However, there was no penalty for the person who planted the kratom. Local people are punished when they use yaba. For local people who sell drugs, they are released only after signing [a contract] that ensures they will not use drugs in the future. Otherwise, they are punished. 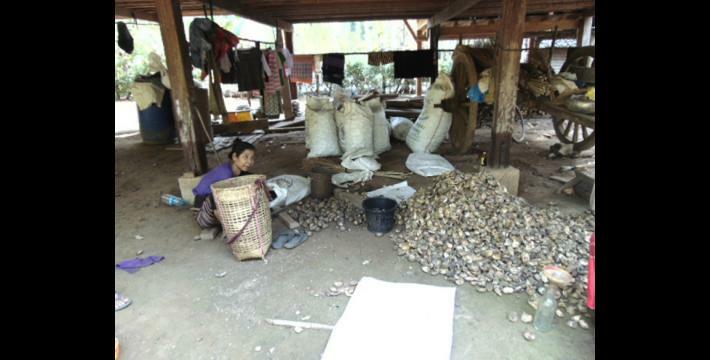 Villagers were confused about why some KNLA officials are not punished even though they were growing opium plants. Therefore, villagers tried to find people who they can rely on [besides the KNU/KNLA] to work on things that involve addressing human right abuses, environmental protection or health. 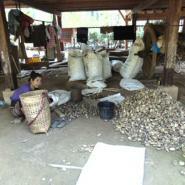 In this case, villagers struggle to secure their own livelihoods and cannot involve themselves in social activities. According to KHRG findings between November 19th 2017 and February 8th 2018 in Win Yay and Kyainseikgyi townships, Tatmadaw activities increased between 2017 and 2018 even though [KNU] leaders already signed the NCA. Local people observed that the NCA is not applied evenly. The Burma/Myanmar government usually controls the KNU through the NCA [by envoking this agreement] whenever the KNU commits an act that goes against the rules. However, when the Tatmadaw or Burma/Myanmar government do something wrong, there is no action taken through the NCA. 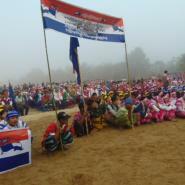 Education challenges are due to inadequate support from both the [KNU and Burma/Myanmar government]. Classes in rural villages only happen at random as there are only a few teachers to teach in schools. Overall, a lack of accountability and responsibility of Burma/Myanmar government and KNU towards local people is the main cause [of human rights abuses in the area]. Local people want authorities to have clearly defined responsibilities and more accountability towards local communities. The researcher is referring to the inclusion of the New Mon State Party and Lahu Democratic Union to the Nationwide Ceasefire Agreement on 13 February 2018. For more information, see “Two Steps Closer to Peace? 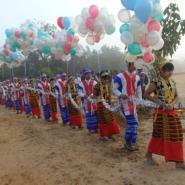 Mon, Lahu Ethnic Armed Groups sign NCA”. Saw Ba U Gyi is the founder and former president of the Karen National Union. 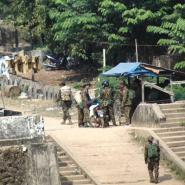 On October 15th 2015, after a negotiation process marred with controversy over the notable non-inclusion of several ethnic armed groups and on-going conflicts in ethnic regions, a Nationwide Ceasefire Agreement (NCA) was signed between the Burma/Myanmar government and eight of the fifteen ethnic armed groups originally invited to the negotiation table, including the KNU, see “Myanmar signs ceasefire with eight armed groups,” Reuters, October 15th 2015. “Pado” is a Karen term used to designate a government official. 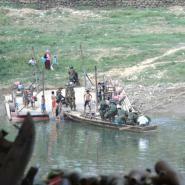 KHRG documents and reports the viewpoints of villagers in Southeastern Myanmar. The perception here that Burma/Myanmar government actions violated Chapter 3, Part 5, Subsection B of the National Ceasefire Agreement is that of the individual being discussed here, and is not KHRG’s analysis of the situation. All conversion estimates for the kyat in this report are based on the March 16, 2018 official market rate of 1,340 kyats to US $1. Yaba, which means ‘crazy medicine’ in Thai, is a tablet form of methamphetamine. First developed in East Asia during the Second World War to enhance soldiers' performance, methamphetamine has become increasingly popular in Thailand, Laos, Cambodia, Vietnam, and Burma/Myanmar where it is typically manufactured. See, Yaba, the 'crazy medicine' of East Asia, UNODC, May 2008; Chapter IV in Truce or Transition? Trends in human rights abuse and local response in Southeast Myanmar since the 2012 ceasefire, KHRG, June 2014; “Thaton Situation Update: Bilin Township, July to September 2016,” KHRG, April 2017; and “Dooplaya Field Report: A quasi-ceasefire? Developments after the Nationwide Ceasefire Agreement, from January to December 2016,” KHRG, September 2017.